melanie & jason weding invitations. 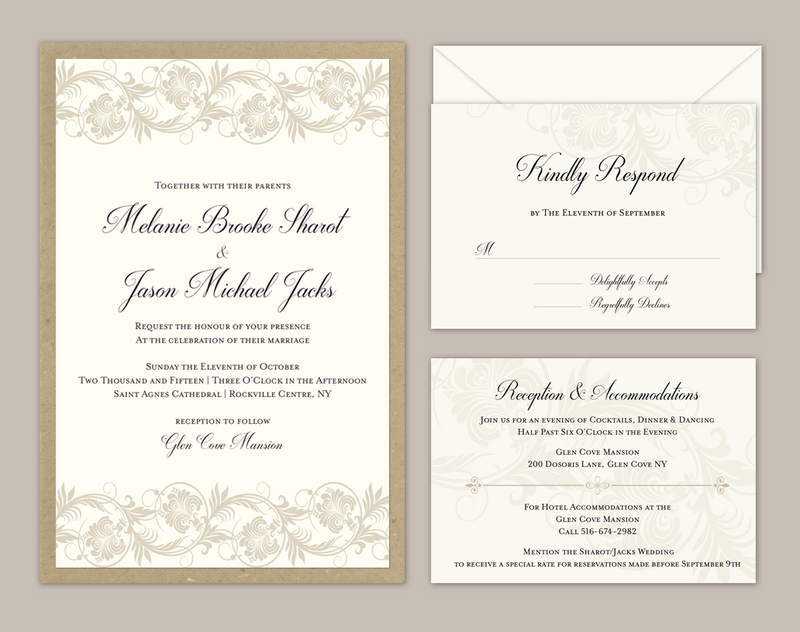 I recently had the privilege to design a wedding invitation for my good friends Melanie and Jason. Melanie was my freshman year roommate at Providence College and I’ve been fortunate to call her a friend ever since. In October of this year Melanie and Jason will marry at the Glen Cove Mansion in New York. The bride asked that the invitations reflect the elegance and historic nature of this Georgian-style estate that will be their venue.